NABARD recruitment 2018: National Bank for Agriculture and Rural Development is going to recruit Development Assistant, Assistant Managers. The notification for the recruitment has been released on the official website and candidates interested to apply can check the same at nabard.org. 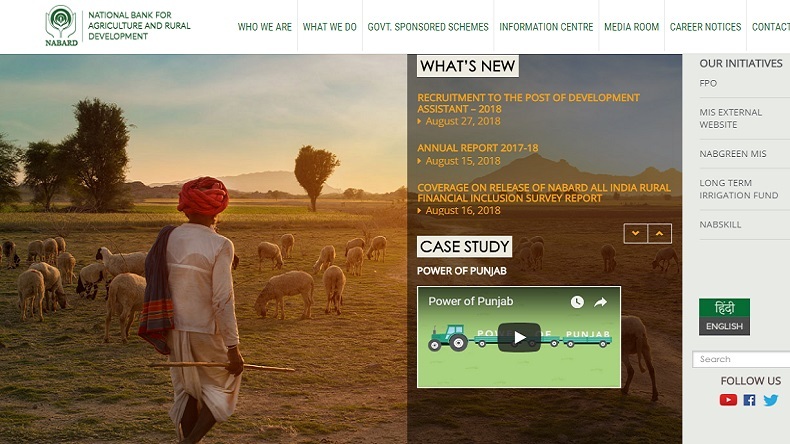 NABARD recruitment 2018: The National Bank for Agriculture and Rural Development has released an official notification for the recruitment of Development Assistant and Assistant Managers on its official website. Interested and eligible candidates can now check the official website – www.nabard.org. According to the reports, the last date for submission of filled up applications is September 12, 2018. For Development Assistant posts, applicants must be must not be less than 18 years or more than 35 years at the time of submitting their applications as on August 1, 2018. Meanwhile, those applying for the post of Assistant Manager must be between the age of 25 and 40 years as on August 1, 2018. Candidates will be shortlisted on the basis of their performance in the written test which is going to be conducted by the organisation during the month of September or October this year, as per reports in a leading daily.